I was relaxing at home one Saturday morning in mid-February when the phone rang – it was Paul. After we exchanged pleasantries, he got down to business. 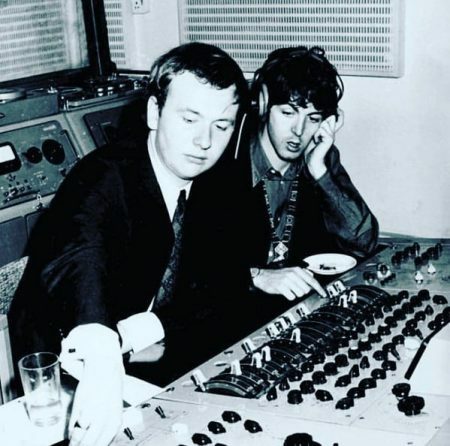 “A few problems” was, of course, a vast understatement; Emerick had heard from George Martin that the studio was “a complete and utter disaster.” But he was intrigued by the offer, despite the bad vibes that had led him to quit the White Album sessions. The Beatles were, after all, the biggest band in the universe; no ambitious young man (Emerick was still just 23 at the time) takes such an opportunity lightly. Just a few days later I received a phone call from Peter Brown, telling me in breathless tones that John had just written a new song and would be coming into Abbey Road the following Monday. Would I be willing to do the session? I asked Peter rather tentatively if John was “okay” these days. He understood exactly what I was getting at; as the Beatles’ designated minder, he had seen plenty of Lennon at his worst. How could I possibly say no to that?